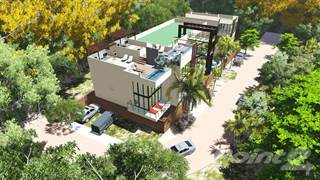 Searching homes for sale in Akumal, Quintana Roo, Mexico has never been more convenient. 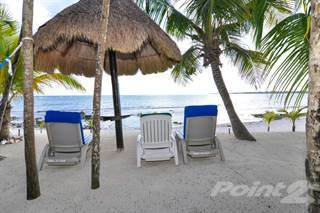 With Point2 Homes, you can easily browse through Akumal, Quintana Roo, Mexico single family homes for sale, townhomes, condos and commercial properties, and quickly get a general perspective on the real estate market. Point2 Homes gives you far more than a simple list of houses for sale. Get instant access to loads of relevant information about Akumal, Quintana Roo, Mexico real estate, including property descriptions, virtual tours, maps and photos. If you like a house for sale and you want to speak with a professional, simply contact the listing agent right from page of listing details. Or if you want to talk to an agent before anything else gets done, you can click the Tools tab and Find an Agent – you get a list of real estate agents in Akumal, Quintana Roo, Mexico, all ready to give you top-notch professional advice on house prices and more detailed information about your target area. Use the map view to find homes and apartments for sale based on amenities and features in Akumal, Quintana Roo, Mexico that you may want close by. You can select your preferred area or neighbourhood by using the radius or polygon tools in the map menu. 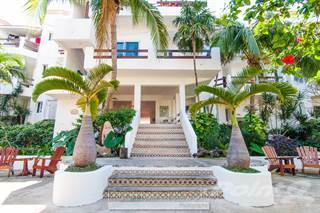 Filter among the 262 listings in Akumal, Quintana Roo, Mexico, based on real estate price drops in the past six months, so you’ll never miss a bargain. Get new listings in your inbox, daily or every week, based on your preferences, by simply saving your searches. All it takes is two clicks. Akumal is a city of around 1,400 people, located in the Mexican state of Quintana Roo in the southeastern portion of the country. It sits on the coast of the Caribbean Sea, near the communities of Tulum, Playa del Carmen, Chemuyil, and Xpu Ha. The city has a small population of ex-pats, around a few hundred, and most of the non-locals who come here are on vacation. Akumal is located in the Riviera Maya area, which is a corridor of resorts and tourist destinations, but the city is considered a peaceful beach community and provides a nice break from the larger communities that have busier tourist areas. Because of the constant influx of tourists in the state, many residents in Akumal speak English in addition to Spanish. Highway 307 links the city to the larger nearby communities, and most people fly into Cancun and then use a bus or shuttle service to travel to Akumal from there. The Riviera Maya Golf Club has an 18-hole course, a 9-hole course, and a driving range. The courses were built within the Mayan jungle, and still maintain the trees, natural lakes, and cenotes (natural swimming holes) that exist here. The practice space includes 300 yards with an approach area with bunkers, a large putting green, a chipping green, and a double tee box. Fifty players at a time can use the practice area. Various golf lesson options are available at the course and include private, semi-private, and group lessons, as well as a youth golf academy. The clubhouse offers amenities such as equipment rental, a golf club warehouse, dressing rooms with showers and lockers, a social area, a golf shop, and an onsite restaurant and bar. Dolphin Discovery Tulum Akumal, located in Akumal’s natural reservation area, is a dolphin habitat that allows visitors to swim with dolphins. Various dolphin swim packages are available at a range of prices, and many include photos that capture the experience. Dolphin swim activities are available for people of all ages, and trained professionals ensure safety, including use of lifejackets and safe interactions with the animals. Staff members also share educational information about dolphins, including what they eat, how they live in the wild, and how they are trained to perform with humans. Many of the resorts have onsite spas and wellness centres that offer Jacuzzis, swimming pools, saunas, steam baths, exercise equipment, lockers, hydro massage, waterfalls, and relaxation areas. Types of services offered include massages (Swedish, sports, reflexology, Vichy, couples), hair services, facials, body treatments, waxing, manicures and pedicures, and other esthetic services. The Budha Garden Spa, located in the heart of Akumal, has tropical gardens, flowing water, a hammock area, Buddha statues, relaxation areas, and views of the beach. Services include regular and exotic treatments, with complimentary herbal teas. Akumal is located on what was once a coconut plantation, but these days the city relies almost entirely on tourism to keep its economy afloat. Most of the businesses in the city are centered around tourism and include accommodations/resorts, restaurants/bars, service providers, shops, and tour outfitters. Residents also rely on some natural resources, such as fishing, to help contribute to the local economy. With internet and phone services, ex-pats can work remotely for businesses around the world, or run their own businesses from the relaxing atmosphere provided by Akumal. Owning property that can be rented to tourists is also a popular economic activity here. The city’s unemployment rate is around 3%, which is similar to the national rate. The northern section of Akumal includes various resorts/accommodations and residences, spas, tennis courts, a shopping mall, service providers, restaurants and bars, pools, beach areas, a water park, a night club, churches, a yoga studio, a tree farm, agricultural areas, forested areas, snorkeling areas, and parks. Restaurant options in this section include steakhouses, fine dining, buffet restaurants, ice cream parlours, and bars/lounges. Akumal’s central section has residential areas, numerous resorts/accommodations, shops, tour outfitters, restaurants/bars, pharmacies, travel agencies, statues, parks, spas, a children’s library, service providers, beach areas, forested areas, a monkey sanctuary, a medical centre, the city hall, and various small tourist attractions. Many restaurants in this section offer traditional Mexican fare, but there are also cafes and bakeries, Italian restaurants, and bars. Various accommodations/resorts, residential areas, a golf course, a wellness centre, tourist attractions, a few restaurants, service providers, beach areas, and pools can be found in the southern section of Akumal. Fine dining, Italian cuisine, snack bars, and traditional Mexican restaurants are located in this section. Most of the real estate in Akumal is found along the waterfront, and condos tend to be most common here. Condo units range in price from around $150,000 to $700,000 and often offer two or three bedrooms and two bathrooms. Most have gorgeous views, high-grade security, and amenities such as swimming pools. Many of the buildings are newly constructed, with plenty of sleek lines and modern décor. Single-family homes are also available in Akumal, although they are not as common as condos, and are often a more expensive option than purchasing a condo unit. These normally have private yards with attractive landscaping. Other multi-family buildings can also be found here, such as townhouses, and are normally in the mid-price range. Multi-family buildings sometimes include semi-private yards. Most residential real estate is located in gated communities. Vacant land is available but can be expensive, depending on location and size. Commercial properties are normally condo buildings or homes that are purchased to rent out to tourists. There are only a couple of schooling options in Akumal, and these include Jardin De Niños Malintzin and Tele Secundarua José Vasconcelos. Other options can be found in nearby communities and include Transformar Educando A.C., Jardin De Niños Miguel Miramón, Esc. Primaria Luis Donaldo Colosio, and Esc. Miguel Ortega. Akumal has no post-secondary institutions, so residents must travel to Playa del Carmen to access options such as Alfa Arts and Business School, Centro comunitario Alfa & Omega, Bachillerato Tecnológico Dzalam, Universidad de Quintana Roo, Universidad Riviera, and Universidad Del Sur.